BURBANK, Calif. (June 30, 2016) – Wreck-It Ralph is heading back to the big screen, and this time, he’s wrecking the internet. The Oscar®-nominated Walt Disney Animation Studios team from the original film is reteaming for the follow-up, including director Rich Moore (“Zootopia,” “The Simpsons”) and producer Clark Spencer (“Zootopia,” “Bolt”). Phil Johnston (writer, “Wreck-It Ralph,” “Zootopia,” “Cedar Rapids”) joins Moore as director and a writer on the project. John C. Reilly and Sarah Silverman return as the bad-guy-turned-good, Ralph, and the girl with the game-winning glitch, Vanellope von Schweetz. The untitled sequel will hit theaters—literally—on March 9, 2018. The filmmakers and Reilly made the announcement on Facebook Live today. When “Wreck-It Ralph” opened on Nov. 2, 2012, it turned in the highest opening weekend ever for a Walt Disney Animation Studios film at the time of release. 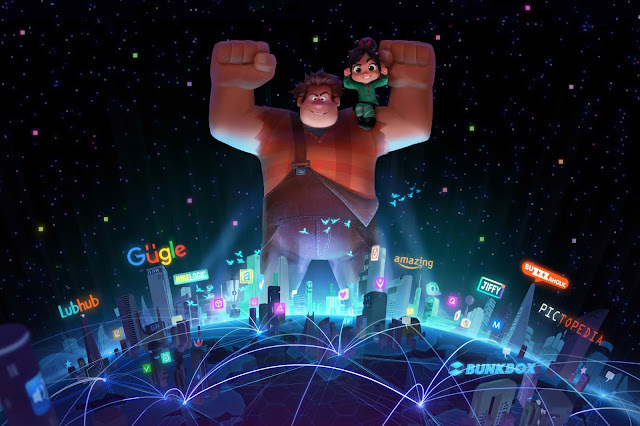 Nominated for an Oscar® and Golden Globe® for best animated feature, “Wreck-It Ralph” won the PGA Award for outstanding producer of an animated theatrical motion picture as well as five Annie Awards, including best animated feature, director, cast and screenplay. The film was named best animated feature by the Broadcast Film Critics Association, earned outstanding achievement in casting for an animated feature by the Casting Society of America, and won the Kids’ Choice Award for favorite animated movie. At 12 p.m. PT today, Disney’s hit mobile game, Disney Crossy Road, will be wrecked by Ralph in celebration of the announcement. As fans play through the 12 different Disney and Pixar worlds of Disney Crossy Road, Ralph may appear and ‘wreck’ part of their gameplay. The animated feature “Gigantic,” originally announced as Disney’s March 9, 2018, release, will be released on November 21, 2018.